Product categories of ZBS Clevise, we are specialized manufacturers from China, Zbs Clevise, Zbs Type Clevise suppliers/factory, wholesale high-quality products of Link Fitting Zbs Clevise R & D and manufacturing, we have the perfect after-sales service and technical support. Look forward to your cooperation! ZBS Clevise is Link Fitting. 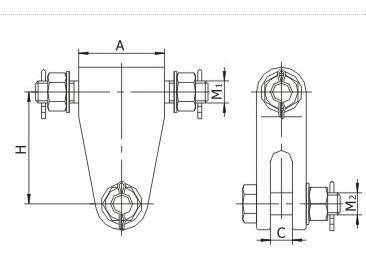 Link fitting is used for insulators, Suspension Clamp, clamp and protection fittings connected to form a suspension or tension string set of fittings. ZBS Clevises are used to attach clevis tongue insulators to various associated hardware within an insulator string. 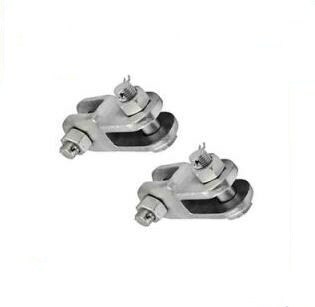 Zbs Clevise is widely used to connect insulator & insulator, or connect insulator and ground wire clamp to tower arms or subjection structures. The cotter pin are stainless steel, the other parts are hot-dip galvanized steel.